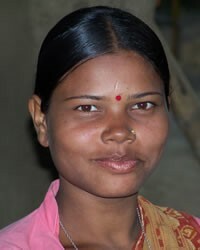 Overview: The Oraon are one of the largest tribes in South Asia. They are widely distributed in India with concentrations in Jharkhand, West Bengal, Orissa, Chhattisgarh, and Assam. They speak a Dravidian language known as Kurukh. While Hinduism is the majority religion, there are isolated districts in Jharkhand and Chhattisgarh where Oraon Christians outnumber Hindus.